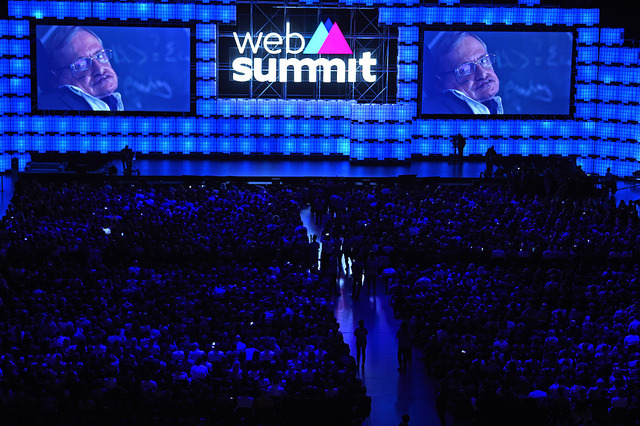 Lisbon, November 6 – Professor Stephen Hawking delivered a keynote address on artificial intelligence (AI) via video at Web Summit opening night. 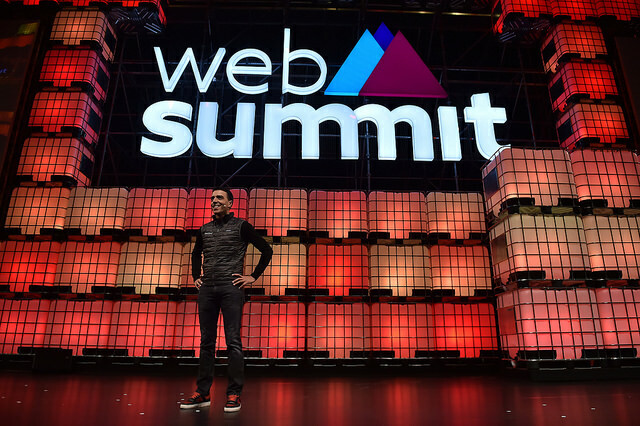 Professor Hawking was invited to speak at Web Summit by Feedzai, an AI company specialising in fraud prevention. A capacity audience of 15,000 people packed out Lisbon’s Altice Arena to hear Professor Hawking’s thoughts and aspirations about AI and its role in the future of our society, as well as words of warning while addressing the need for ethics and controllability in the development of AI. 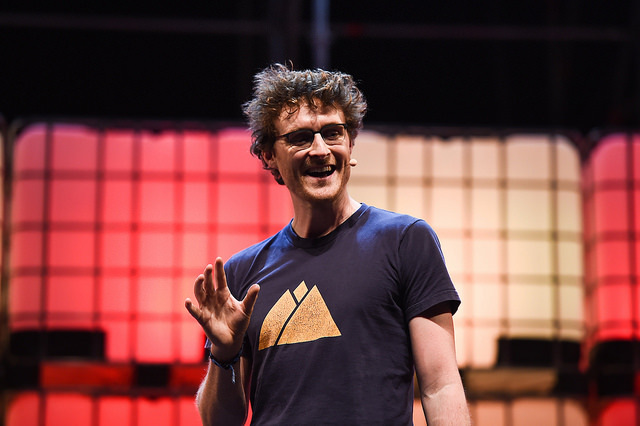 “I am an optimist and I believe that we can create AI for the good of the world. That it can work in harmony with us. We simply need to be aware of the dangers, identify them, employ the best possible practice and management, and prepare for its consequences well in advance. Perhaps some of you listening today will already have solutions or answers to the many questions AI poses. “We’re honored that Professor Hawking accepted Feedzai’s invitation to speak at Web Summit and to join me and our team in promoting the development of AI that is ethical and controllable. “Professor Hawking is one of the great minds of our generation and when he speaks we all should listen. AI could be the greatest or the worst thing to happen our society since the industrial revolution. Regulation and agreed ethical practices are essential to ensure we protect the rights of all in society because this is not the future this is the now, AI is already permeating into every aspect of our lives.